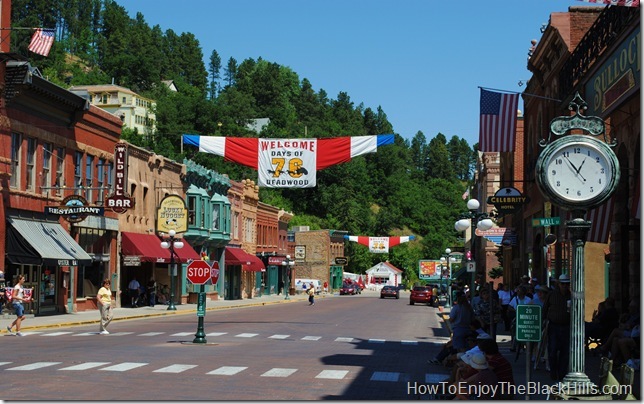 Deadwood is a small town with a colorful past. The town started out illegally in the late 1800’s and has catered to people’s vices ever since. It is hard to believe that the last brothels of Deadwood – like Pam’s Purple Door – were closed down in 1980. If you want to read about Deadwood’s history of gaming and prostitution I highly recommend reading Raiding Deadwood’s Bad Lands . 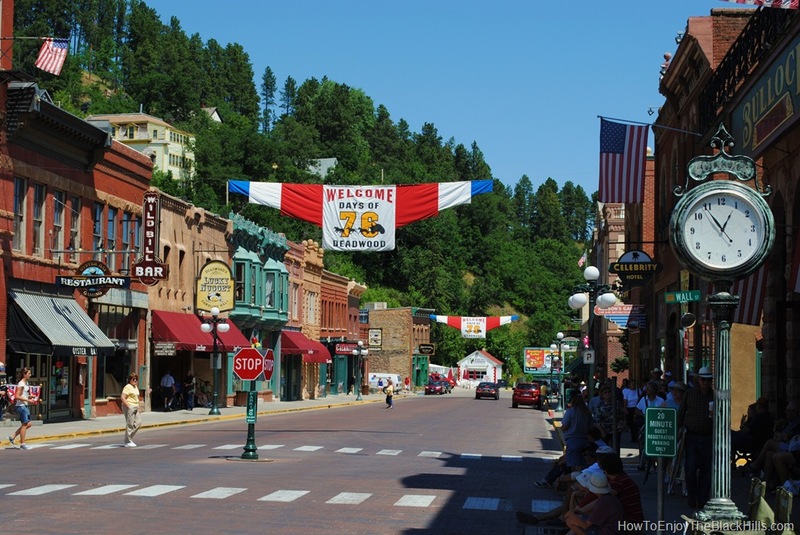 Deadwood is surrounded by the Black Hills National Forest. The Mickelson Trail begins (or ends) right in town. Just minutes away are popular areas like Spearfish Canyon, Bear Butte, Roubiax Lake and Mount Roosevelt. Enjoy a glass of South Dakota wine at Belle Joli or Schade. And, don’t forget to try the truffles at the Chubby Chipmunk. The entire town is a historic landmark. There is history preserved everywhere. Museums include: Adams House, Adams Museum and the Days of 76 Museum. Mount Moriah is the final resting place of some of Deadwood’s most famous residents. Wild Bill Hickok and Calamity Jane are buried next to each other. The grave of Seth Bullock is 750 feet above the rest of the cemetery – he requested his grave overlook Mount Roosevelt.